Grab a fresh new watch now, pay for it later. Check out with Afterpay OR ZipPay and instead of paying for your order upfront, pay in 4 easy instalments over 8 weeks. Free Delivery across Australia on every order. Next Day available to major cities + Same Day in Melbourne. Not sure which style to get? Grab an UNCLE JACK gift voucher. Vouchers are delivered instantly via email. We offer Next Day* delivery to most major cities + Same Day delivery in Melbourne. Your VIP access is unlocked! Join the VIP waiting list & be the first to know when this product launches! CLICK HERE TO JOIN THE WAITING LIST FOR A DANIEL RIOLI X UNCLE JACK V2. Limited edition release with Daniel Rioli. Please allow up to 10 business days for this product to be dispatched. 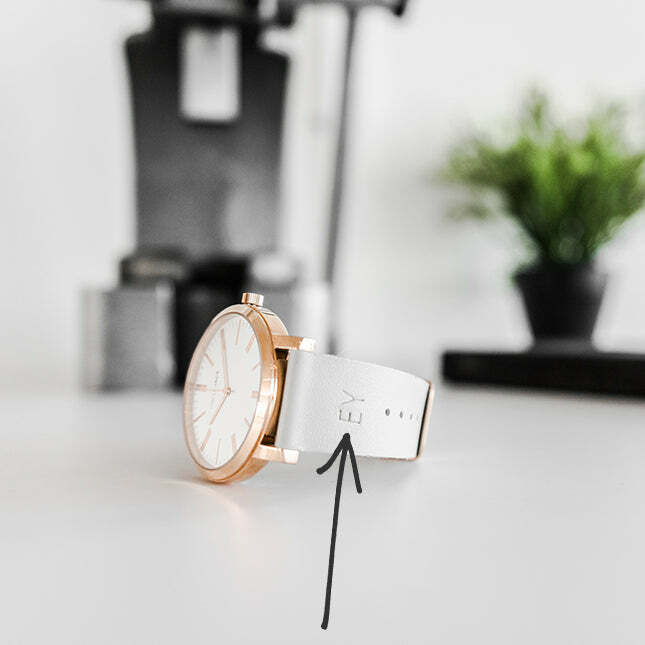 Choose to add your initials (or someone else's) & we'll hand-press it into the leather band from our Melbourne warehouse. An Uncle Jack Collective brand. FRESH, SIMPLE & DESIRABLE WATCHES.